At AgriEnergy Resources, we’re devoted to helping our conventional, biological, and organic farmers get the biggest bang for their buck. With traditional markets struggling right now that can be a tall task. So we’d like to point you toward some alternative markets available for specialty crops, new crops, and organic crops. These newer marketing opportunities are emerging and growing every day, and taking advantage of them could just be your ticket to that “big bang”. We have compiled a list of buyers that our customers have worked with. Please note: this is NOT an exclusive list. If you or someone you know have another new or specialty marketing contact you’d like to add, let us know. We want to keep this list, and your bottom line, growing! For current organic prices, click here. To hear more about new and emerging markets, click hear to listen to the audio from our seminar. Grazing systems, forage quality, and organic dairy are just a few buzz words that get us excited, along with local foods, pastured poultry, and crop rotations. If any of those describe your operation, then you’re in luck. We want to be your go-to resource, and share what we’ve learned along the way. And today, we want to share some upcoming webinars sponsored by eOrganic. eOrganic is powered by eXtension where you can find research-based information from America’s land-grant universities. Each year they put out a webinar series based on the latest organic farming practices for FREE. Catch the latest webinar Thursday, Grazing Systems and Forage Quality of Grasses for Organic Dairy Production, presented by Brad Heins of University of Minnesota at 1 p.m. In the meantime, if you have any questions regarding soil health or forage quality give us a call! What goes into growing winning corn silage by the World Dairy Expo standards? Healthy soil? The right seed? Effective fertilizer? A whole lot of knowledge? AgriEnergy products? A combination of all the above? For Daniel Olson of Olson Farms in Lena, Wisconsin it’s definitely a combination as he strives for the title every year, and this year it paid out, literally. He was awarded $1,500 for producing the best standard corn silage during the 2015 World Forage Analysis Superbowl at the World Dairy Expo. See below. 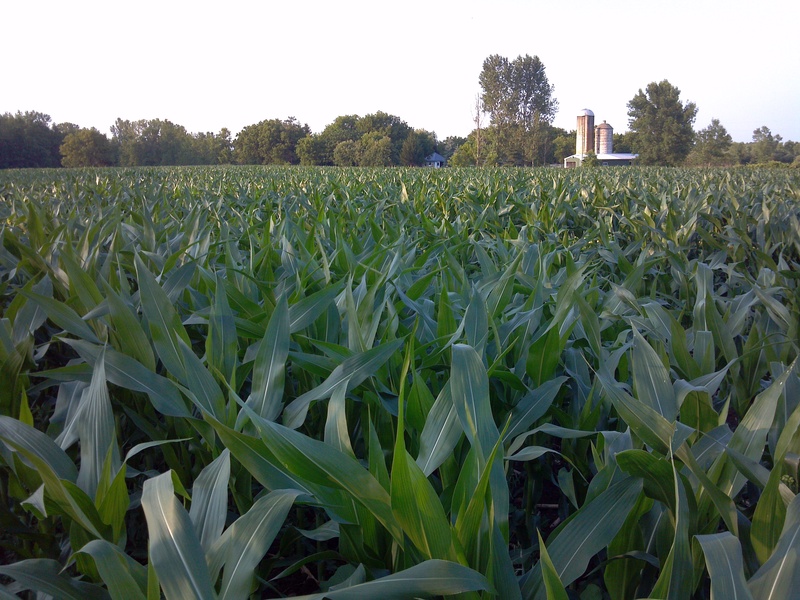 Daniel used Drammatic “E”, SP-1, and Potassium Sulfate Solution on his winning corn silage. Daniel beat out 385 entries in seven forage categories, of which 90-95% were conventional entries, with his organic corn silage. He chose to plant seed from a small seed company, Master’s Choice, and won based on uNDF, undigestible neutral detergent fiber. He also took second place in the Grand Champion Baleage and third place in the Grand Champion Dairy Hay. Needless to say it was a good day for Olson Farms! Have you ever competed at the World Forarge Analysis Superbowl? If so, tell us about it in the comments below. ACRES U.S.A. Conference is right around the corner and this year we are giving away 2 passes to ACRES to one lucky farmer, which will also guarantee a travel voucher for 2 (travel & lodging) to AgriEnergy’s annual winter seminar in January. ACRES U.S.A. is North America’s oldest publisher on production-scale organic and sustainable farming. For more than four decades their mission has been help farmers, ranchers, and market gardeners grow food organically, sustainably, without harmful, toxic chemistry. 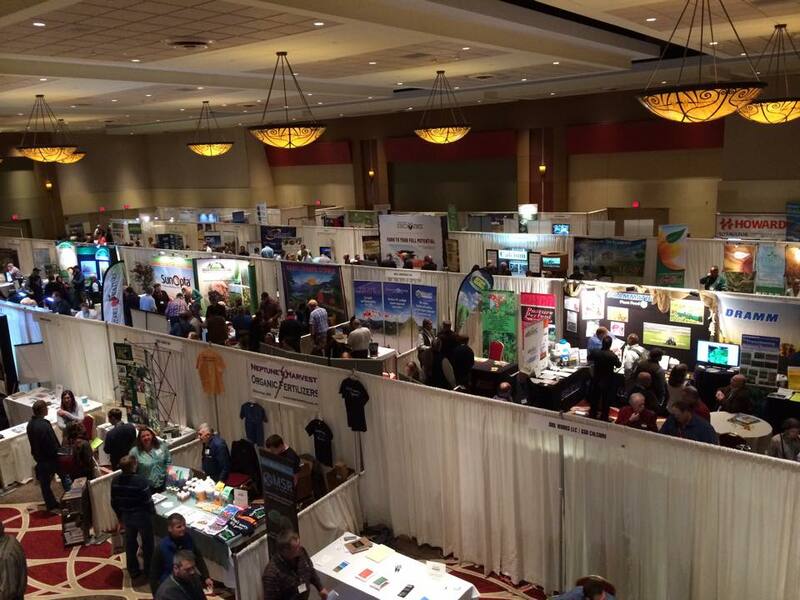 A glimpse into what this year’s trade show could look like…Last year’s birds eye view. If you’ve ever attended before, you know what a world-class educational and networking event it is. If you’ve never been, trust us, you’ll walk away with so many ideas to maximize profits for the 2016 season. Jam packed with seminars and workshops, you will get the opportunity to “pick the brains” of the most innovative farmers, consultants, soil & crop advisors, authors, nutritionists, holistic veterinarians, researchers, beekeepers, geologists, soil microbiologists, and more. The conference will be held December 9-11 in Pittsburgh, Pennsylvania and our seminar will be held the last week of January in Illinois. To qualify for your chance to win the jackpot, tell us the first thing you’d do when you get to ACRES (if you win) on Facebook and/or Twitter using the hashtag #AERatACRES and fill out this short questionnaire.